Hearty hospitality and cosy atmosphere rank first at Hotel Restaurant Piz Seteur. No matter if you stop by for a cup of coffee, a piece of cake or a tasty grill platter. The unique ambience of our Stuben will invite you to linger and enjoy. Our restaurant is designed to give our guests a comfortable and welcoming corner, while tasting the delicious specialties of our menu. South Tyrol’s traditional cuisine has succeeded in conquering also the hearts of the most sophisticated gourmands. With passion and creativity our Chefs will serve specialities and treats according to regional recipes. 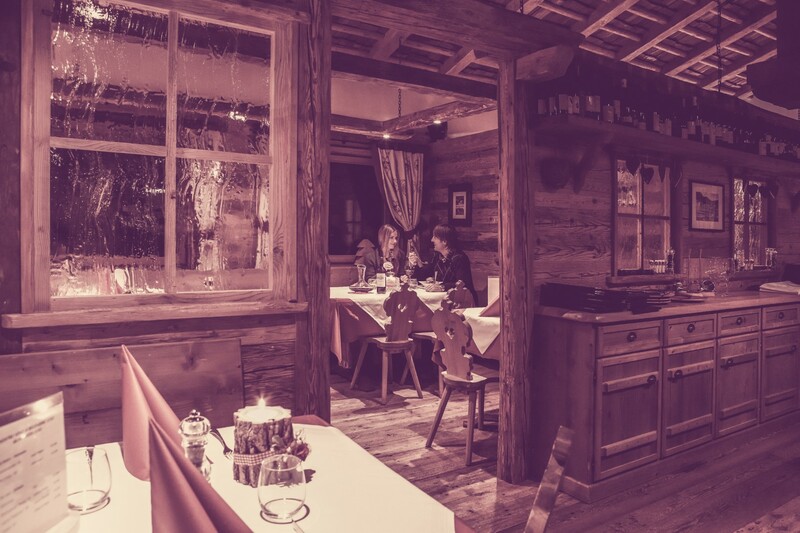 In addition to top-quality Italian dishes, at our restaurant you can also taste international dishes as well as a broad selection of typical Tyrolean plates, whereas particular attention is paid on the exclusive use of freshest and local ingredients. Have a great start into the day with our rich breakfast buffet, in the evening instead we would be glad to pamper you with an excellent 4-course menu. The beautiful terrace, the 3 “Stuben” in typical Tyrolean style and breathtaking scenery. Take off your skis and stop for a coffee or enjoy one of our dishes at the self service restaurant. At the bar you can choose between toasts, sandwiches, cakes, brioches and fruit salads, while at the self-service you can choose from a wide selection of dishes, including some Tyrolean evergreen dishes such as speck platters, dumplings, speck eggs and … even if the real protagonist of us is the “Wienerschnitzel”. A fast stop and you will be immediately ready to get back on track! Plan de Gralba is the name of the village located right next to the Hotel and Restaurant Piz Seteur, Selva Gardena. A high plateau featuring an overwhelming 360°-panoramic view on the valley and the Sella massive. What a better opportunity could there be than enjoy this wonderful panorama from our hotel’s terrace? Thanks to the excellent position you will have the chance to delight yourself with a nice open-air lunch. You will feel the warmth of the sun rays and the unmistakable scent of flowering mountain flowers. Come and celebrate the New Year in Val Gardena. 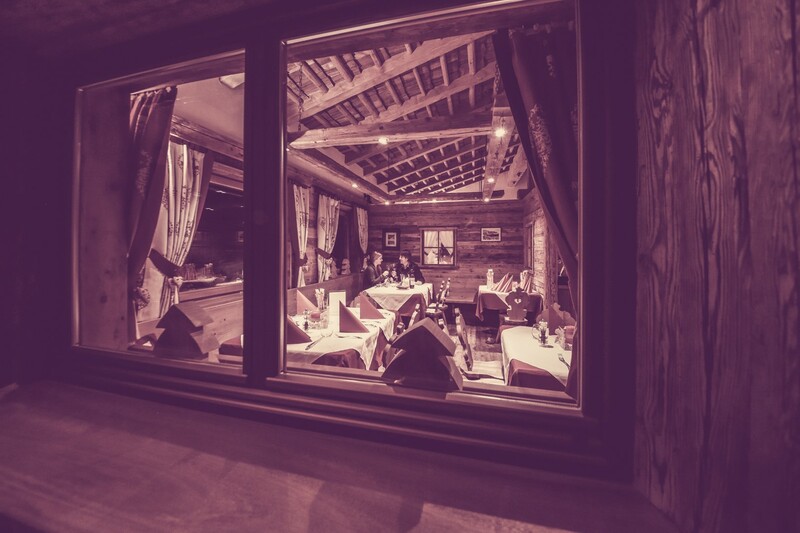 The doors of the Piz Seteur hut open to offer you a special gala dinner. Thanks to our snowmobile transport service you will reach the snow-covered slopes on which the hotel is located. As soon as we arrive we will offer you a tasty aperitif. The evening then continues at the restaurant where the chef will offer you a special gala menu. At the end of the evening you return with the snowmobile. A reservation is needed to participate. Are you interested and would you like to book?